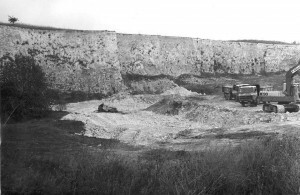 The history of the quarry pit at Monkton dates back more than 200 years, with the first recorded excavation of chalk from this site being made in 1799. 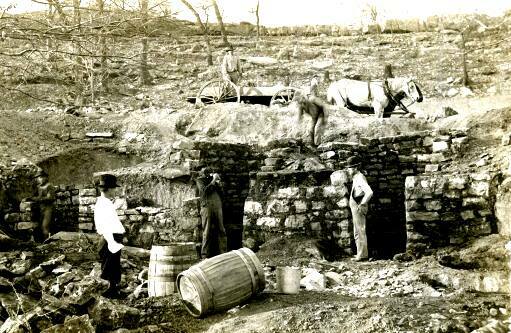 In 1799, material was used to provide infill for the Military Road which was then being built at Ramsgate Harbour to prepare the port for the Napoleonic War naval and transport shipping. 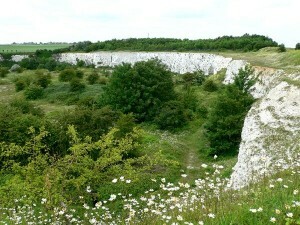 The quarrying of chalk continued into the 19th century, operated by the Willett family. In 1942, during the early part of the war, Manston Aerodrome had a grass runway. Later on a concrete runway was built in order for it to be used for the Hawker Typhon and the Meteor Jet. 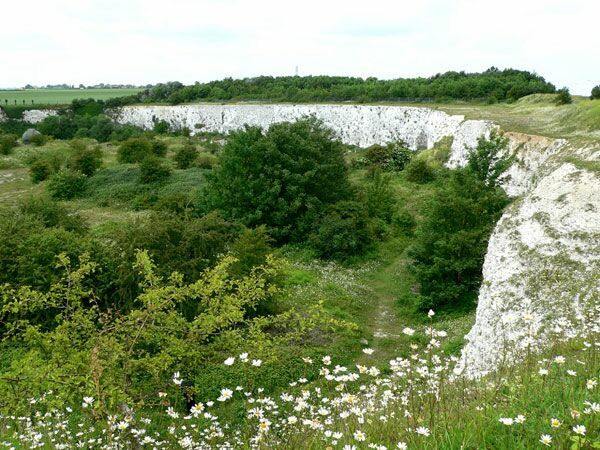 The area was levelled with chalk from Monkton chalk pit, forming a runway 9,000 feet long, making it, allegedly, the longest runway in the world at that time. In 1953, chalk was once again needed, this time to repair the railway line between Minnis Bay and Reculver following the great storm and floods which carried away the sea-wall, and the railway line. 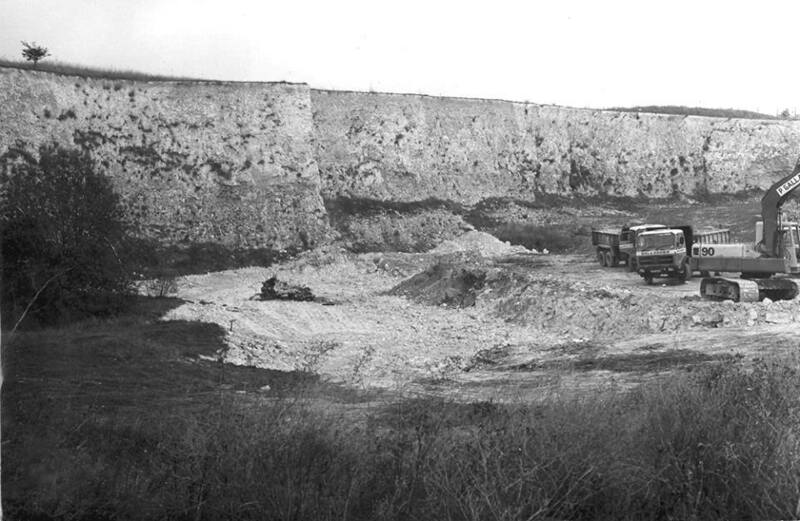 In 1958, chalk was used to build the car parks and working areas at the newly constructed Richborough Power Station. In the process, the pit, which was to become Dragonfly Pond, was created. Quarrying activities at the site ceased c.1958. In 1968, the Margate Corporation issued a compulsory purchase order to enable them to use the site for land-filling activities. In 1974, the property passed into the ownership of Kent County Council as the waste regulation authority. 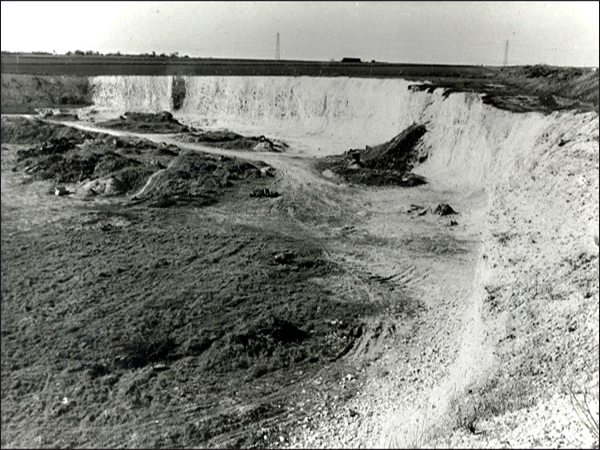 In 1977, the then Thanet Conservation Group gained planning permission to convert the quarry into a nature reserve, including the erection of the Field Study Centre. In the following year, this Group purchased the land for £12,500. In 1982, the Thanet Conservation Group became the Thanet Countryside Trust and achieved charitable status. In 1985, the building known as the Field Study Centre was erected. It now comprises exhibitions and a classroom, an extensive research library, a similarly extensive second-hand bookshop, toilet facilities and a small shop. In 1986, the UK’s first artificial bat cave (or hibernaculum) was built by the London British Trust for Conservation Volunteers (BTCV). In 1994, the Dinosaur and Fossil Collection was formally opened. In 2000, the Thanet Observatory was completed. In 2014, construction began on a second observatory. In 2015, the BBC used the Reserve when filming for episode 2 of their TV series Colour: The Spectrum of Science.